Hello Chicago - Enjoy Soap Making With A Chicago Artisan! 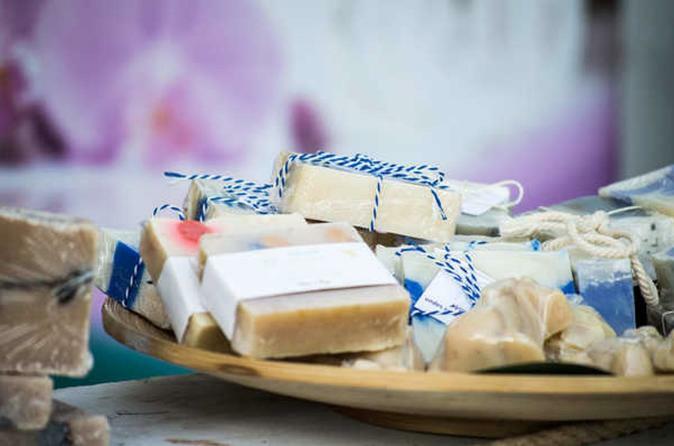 Enjoy Soap Making With A Chicago Artisan! I have been teaching soap classes for many years. I really enjoy sharing this fun activity and meeting new people. I am an occasional community blogger for Mother Earth News on many topics, including soap making. I have been really fortunate to meet many travelers to Chicago in the past ten years, as we rent two vacation rental properties. This will either be a private lesson, or a small group lesson, depending on how many people sign up. Making soap is easy to do once you have made it with an expert. Otherwise it can be pretty daunting to try to learn on your own. We will discuss the fascinating history of soap making, and then we will get to work. You will weigh the main oils—olive, coconut, and palm—and I’ll be in charge of the dangerous stuff. You can personalize your batch by selecting from a variety of scents and herbs. Your loaf of soap will weigh about 1.5 pounds, and after a few days it will be ready to cut into bars. This is the size of a banana bread loaf, so you can cut as many slices of soap as you want from it, depending on thickness. You will leave here knowing how to make your own soap in the future, including recipes and resources, like where to find supplies. Feel free to bring a friend to the class and share your batch of soap. You are welcome to BYOB and imbibe after the tricky stuff is complete. Wear messy clothes. You will be measuring oils.